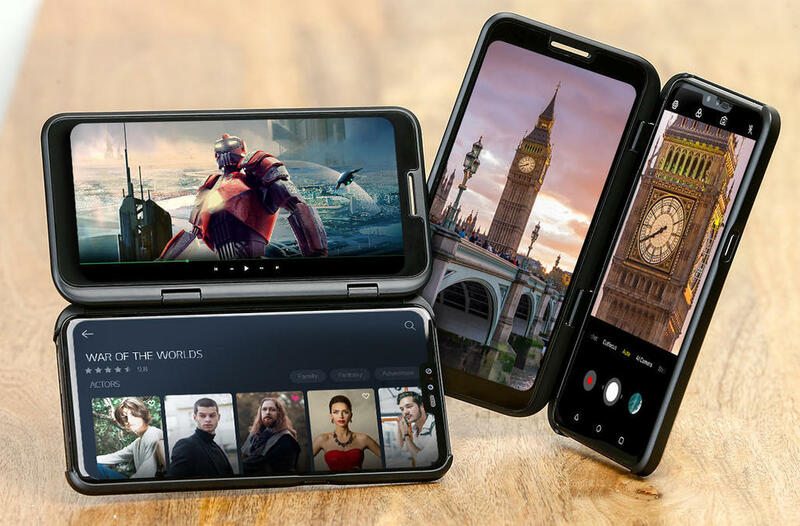 LG V50 ThinQ 5G introduced At Mobile World Congress in 2019, which comes with the Snapdragon 855 processor, Snapdragon X50 modem and Dual Screen Accessories. During this, the specification and feature of the phone were explained in detail, but LG kept silence on price and availability. Now the company announced that LG V50 ThinQ 5G will be available from April 19. Its price has also been disclosed in the South Korean market. LG will offer dual screen ATTACHABLE screen for domestic customers for the month of May. After this, customers have to pay a separate payment for this accessory. The price of the LG V50 ThinQ 5G is 1,119,000 Korean von. 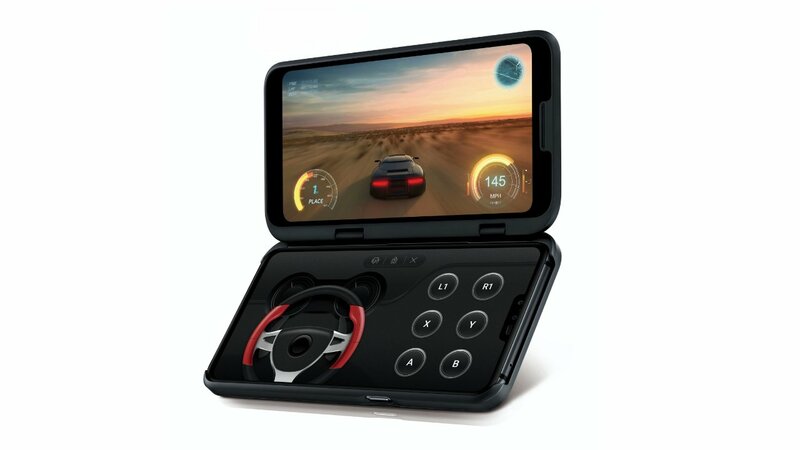 As a dual-screen attachment, the 6.2-inch OLED full-HD + (2160 x 1080 pixel) screen is available which is used for multitasking and gaming. Its price is 219,000 Korean von. 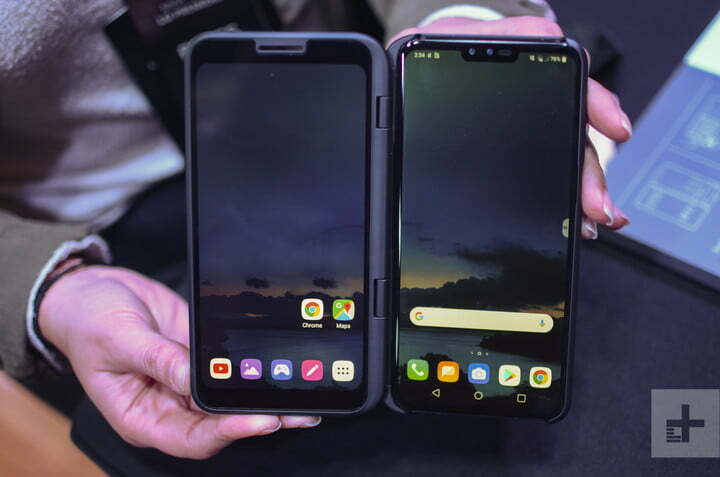 In the Mobile World Congress, it was announced that LG V50 ThinQ 5G's 'dual screen' attachment works only as a secondary display, along with it will become a cover for a new smartphone. It can be connected through Pogo Pin connectors. It has been reported that V50 Think 5G will power this display. It will not come with a different battery. The LG V50 ThinQ 5G has a 6.4-inch quad HD + (1440x3120 pixels) OLED full-vision display with an aspect ratio of 19.5: 9. Its pixel Density is 538 PPI and the LG V50 ThinQ 5G smartphone will come with HDR 10 support. Dual screen is also launched with the smartphone which looks like a flip cover in appearance but can also be used as a secondary display. The Snapdragon X50 modem has been used for better 5G connectivity with Qualcomm Snapdragon 855 processor for speed and multitasking. LG V50 ThinQ 5G smartphone has Adreno 640 GPU with 6 GB RAM. Now talk camera setup. LG V50 ThinQ 5G has triple rear camera setup for photography. 12 megapixel primary sensor with a 78-degree lens, with 12 megapixels 45-degree telephoto lens and 16 megapixels 107-degree wide-angle lens. There is a dual-front camera for Selfie- 8-megapixel RGB sensor and 5 megapixels has a 90-degree wide-angle lens, which has an aperture F / 2.2. The LG brand's handset has 128 GB inbital storage, with the help of MicroSD card, it is possible to increase the storage to 2 TB. Bluetooth connectivity includes Bluetooth 5.0, NFC and Wi-Fi 802.11 A / B / G / N / AC support. A battery of 4,000 mAh battery has been given to breathe in the phone, which comes with Quick Charge 3.0 Fast Charging support. The LG V50 ThinQ 5G smartphone has an IP 69 rating. What do you think about the LG V50 ThinQ Say us in a comment? do you like to buy it or not.